It's that time of year again, folks. Time to clean your office, dust off the pile of papers at the corner of your desk and get your stuff together to crank out those tax returns. What fun, right? Yup, about as fun as a bikini wax. 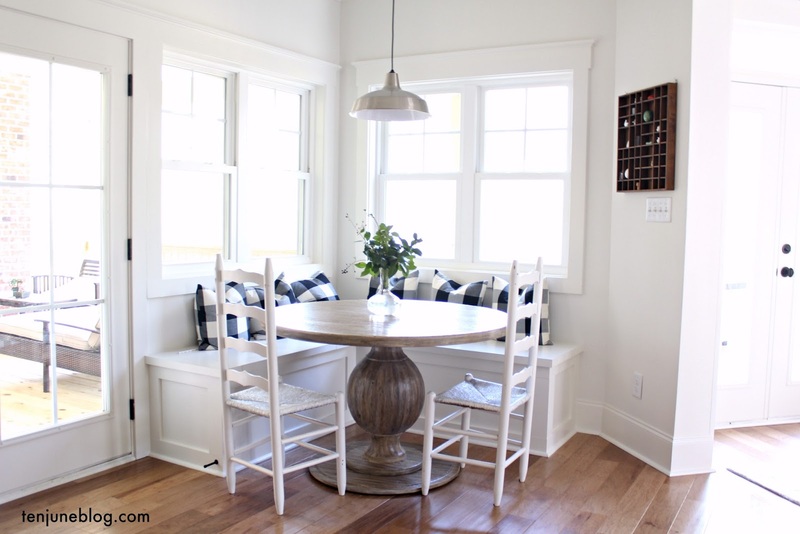 Over the years, I've compiled a few go-to tips to help our family sort through the craziness that is household paperwork and I thought I'd share some of those with you today. While it's not the most riveting topic of the year, it's certainly some good advice, so enjoy! 1. Pile your paperwork up in a snazzy looking basket or bin. As I get mail that I need to save or as other important paperwork trickles in, I throw out the clutter (ie. the ad that comes with my power bill, the extra envelope that comes with my TV/Internet bill since I pay online, that kind of thing) and simply keep the substance. Then it goes in the filing pile, in a basket on my office desk. And it's gotta be a cute basket, right? Something snazzy looking to disguise the clutter of the filing pile. 2. Attack your filing pile only once or twice a year. I know, it might make more sense to some of you to keep up with your filing every month or even every couple of weeks, if you're super ambitious. I guess I'm just plain lazy because once a year works for me. Filing is not one of my favorite tasks, so it makes the most sense to me to sit down and knock it out in one big couple hour stint. Think paperwork, wine and Real Housewives. Knowing I only have to file once in a blue moon (usually at this time of year) makes things a lot easier for me! Let me say it again: don't keep everything. Otherwise known as no, Michelle, you don't need your power bill from your college apartment back in 2003. I have a tendency to want to hold onto all paperwork... you know, just in case. In case the power company comes back to me ten years later and wants to dispute my bill? Mhmm. A couple of years ago, David and I decided we were holding on to far too much paperwork, so we educated ourselves about what we really need to keep and what we could trash. I found this great set of tips from the IRS that taught us a lot. We also reference the information below from Suze Orman. The attorney in me tends to want to keep more of the contract-type legal documents, real property records and income tax documents forever, but overall I think this is pretty good information. 4. Keep your filed paperwork in a neatly labeled, organized fashion. If only my filing cabinet were this cute! To tell you the truth, David and I have been on the lookout for a new filing cabinet for about a year now but are being super picky about this piece of furniture, for some reason. We just haven't found the right thing- I don't want to spend an arm and a leg on a filing cabinet, but I want it to be cute... is that so much to ask?! For now, we still have his college plastic filing cabinet with one of the plastic faces popped off. Holla at ya boy. BUT I will give us some credit, as the inside of it is very neatly labeled and organized with categories for all of our paperwork filing. It makes a world of difference! Maybe one day I will find the perfect filing cabinet... maybe that's a fun DIY project in the future, eh? 5. Store your valuable paperwork in a safe or safety deposit box. 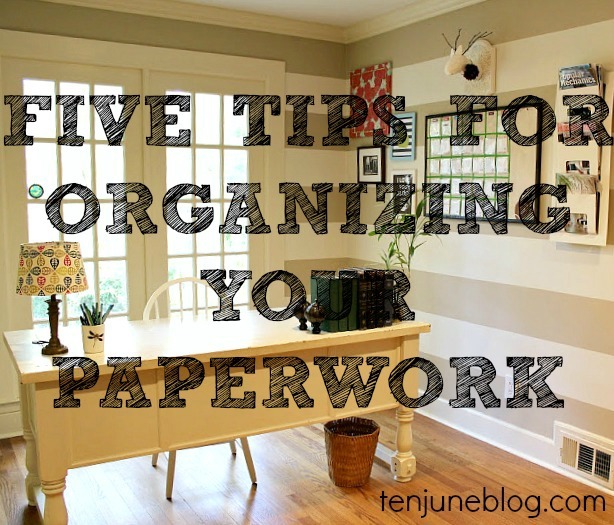 Those are just five quick and dirty tips I use for keeping paperwork organized around our house. Got any other fun advice for keeping your family records together?! This. Is. So. Helpful! I am also that girl who tries to keep her paid bills from 5-10 years ago! Hahaha. WHY!? I am ready to dispute that bill. Hahaha. Pinning this as we are tackling this soon.....we moved not too long ago and realized that we probably don't need to keep half of what we have. Thanks for the suggestions! These are great tips, Michelle! I have sooooo much paper and I hate it. I'm so scared to throw anything away. It's crazy! This is so helpful! I was just cleaning out our office and over-abundance of paperwork, thank you for sharing! Great tips, Michelle! :) Pinning this one! These are excellent tips! We have a filing cabinet for all our paperwork and things, but my husband likes to keep it all in letter sorters on his desk. He only files things once a year when we do taxes, and there is no convincing him otherwise. It drives me nuts! Haha!